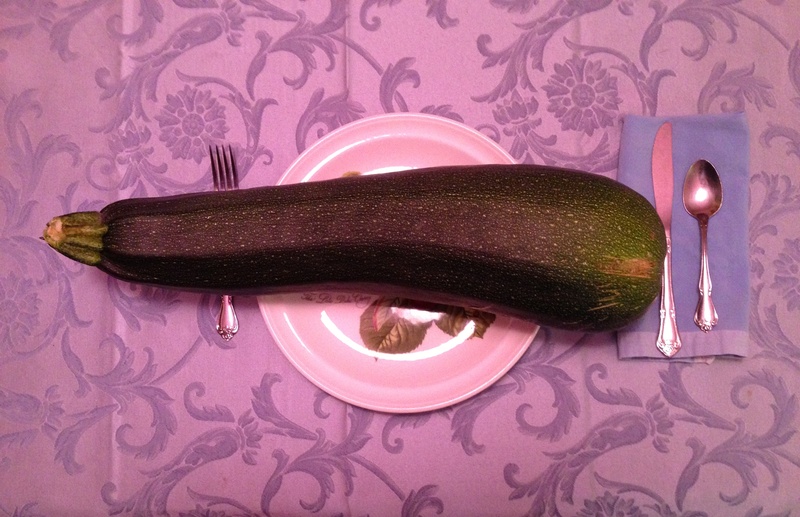 You could make a meal of this zucchini! Fresh from the garden, zucchini is great grilled, roasted, in salads, battered and fried, or as zucchini soup. You can make a delicious, beautiful zucchini soup with about 2 lbs. zucchini cut in pieces, 3 T butter, 1 medium Vidalia onion diced, 1/4 cup half & half, and 1/2 cup either chicken broth or vegetable broth. Boil the zucchini for a few minutes; saute onion in butter. Puree or blend the zucchini until smooth and pour into the pan with the onions. Add broth and half & half. Wonderful either hot or cold! This entry was posted in Healthy Living, Nutrition and tagged #Healthy Living, #nutrition #diet #food.